This is what ladies of the Biedermeier period wore for a promenade through the park or along the boulevards. 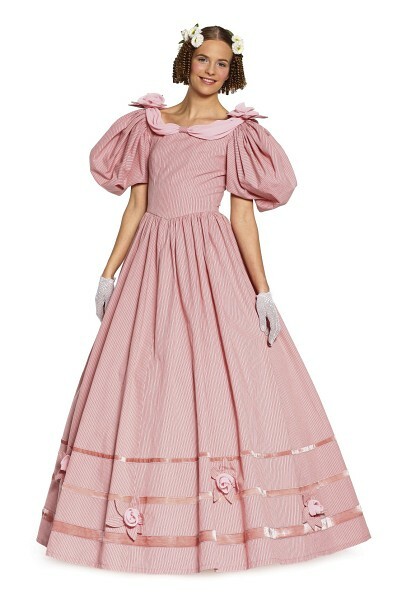 The fitted bodice with shallow neckline, the full sleeves, and the gathered, floor-length skirt are all typical for this era. Dress A, with ribbon trim and delightful fabric roses is embellished with draped chiffon along the neckline. Dress B features wide lace trim at neck and hem.